I took this photo while on set for the Australian horror movie The Gates of Hell. I was there as the visual effects producer and would later edit the film too. 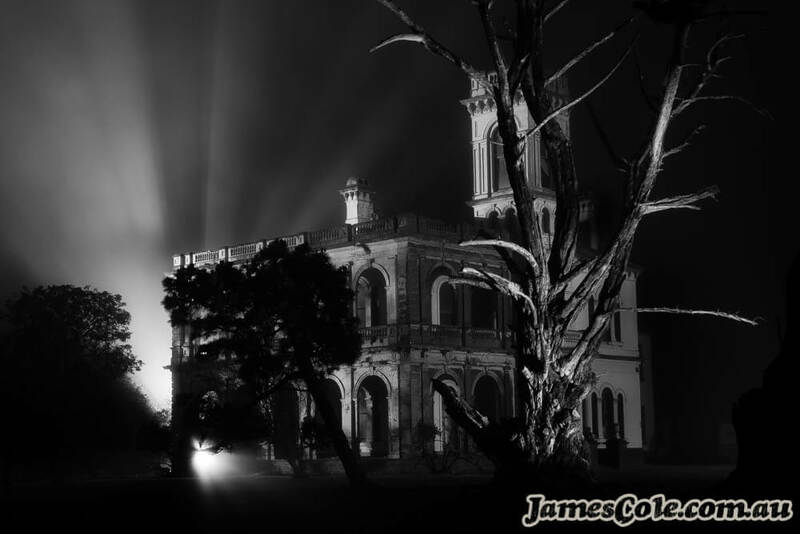 Our location crew were able to find and secure this amazing property "Mintaro" in Monegeetta or country Victoria, as a major location for the film. We shot through the nights for a number of weeks before moving to a studio where sets had been built for all the interiors. Since filming, it has been interesting to learn more about the history of the property, from its birth in 1882, through its various residents including a home for wayward girls and being taken over by the army during world war II. You can read more about the property in this interesting article by The Age "Life goes on for mansion of dreams and heartbreak"